An innovative, fashion inspired hydration bottle for the creative, music loving individual. 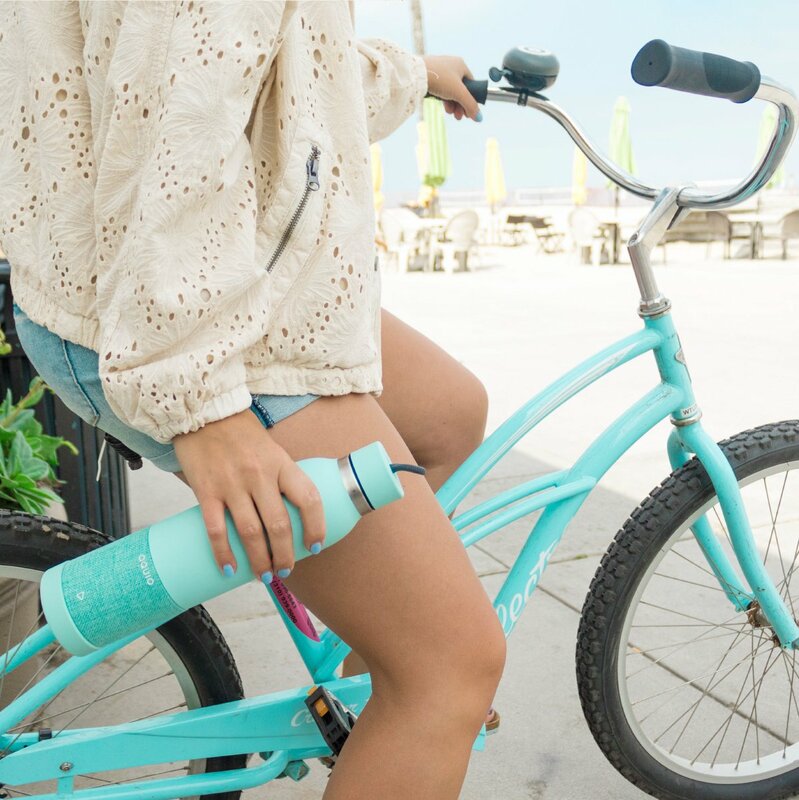 Featuring a double wall insulated stainless steel bottle with a removable, waterproof Bluetooth speaker. Bluetooth Speaker: Play your music on the go! 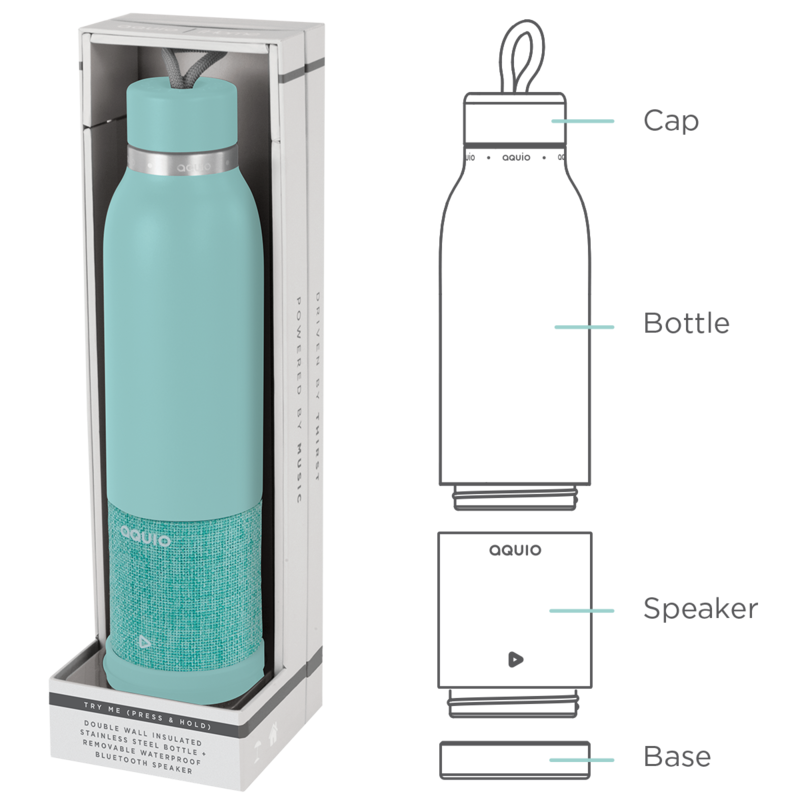 Designed and developed by world class product creatives and engineers, Aquio is the first ever double wall insulated bottle with a remarkable waterproof Bluetooth speaker. The adventure is limitless with Aquio and we are proud to present an innovative product in the reusable bottle market. Once our beautiful bottle was designed, we joined forces with iHome Audio to create an even more exciting product. With iHome being one of the leading audio brands and with over 60 years of product background – our team was complete. We did not just create a bottle, but a portable audio experience like no other. 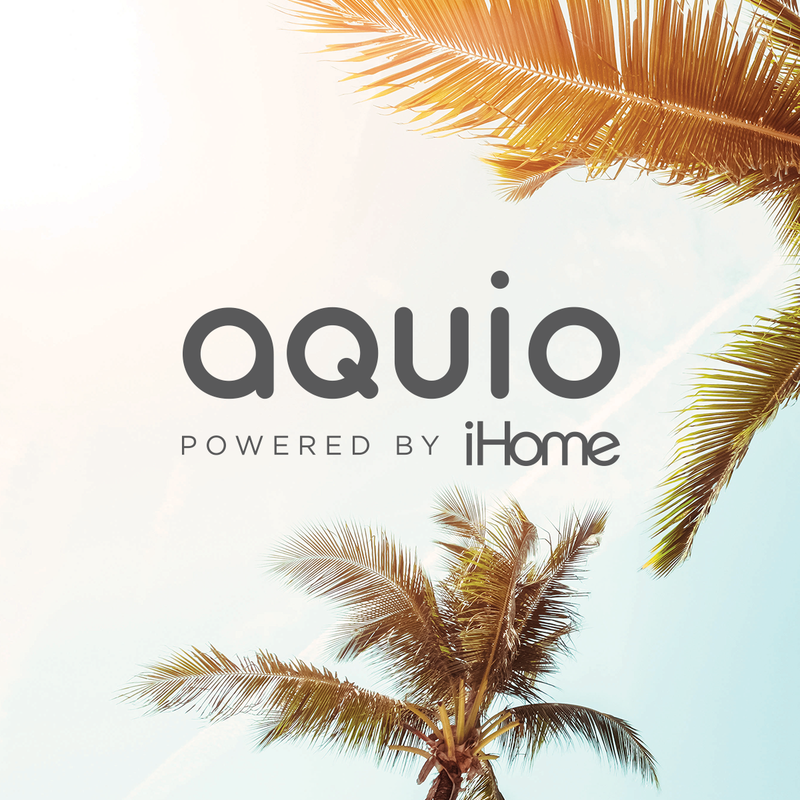 Aquio was developed with the consumer in mind - the fashionable, music loving, eco-friendly individual that enjoys exploring and carving their own path. Who doesn’t love a splash of color in their life or music on the go with superior sound? Make Aquio your companion wherever you go, change up the colors, and charge up for a healthy, fun lifestyle. Use #hydrateyoursoul on social media to show us how you live the Aquio lifestyle.